2013 Scottdale Arabian Horse Show! — John O’Hara rode TA Markoni to 5th place in The Scottsdale Purebred Futurity winning $3,000. Congratulations to owners Gut Fronleitenhof Austria and Leona Dries. — Congrats to Steve Grove and TA Horizon on Winnning Prime Time Plus Arabian ATR. Bringing home a check for $2,000. We are so proud and happy for you! — We also were very proud that TA Mozart won the Purebred Arabian Working Western Horse of the Year honors! — Congratulations to Kimberly Tillman and TA Hermes on winning the Purebred Arabian Non Pro Futurity Reserve Championship. Congratulations to Shannon O’Neal on the purchase of this talented horse. We look forward to seeing you in the show pen! 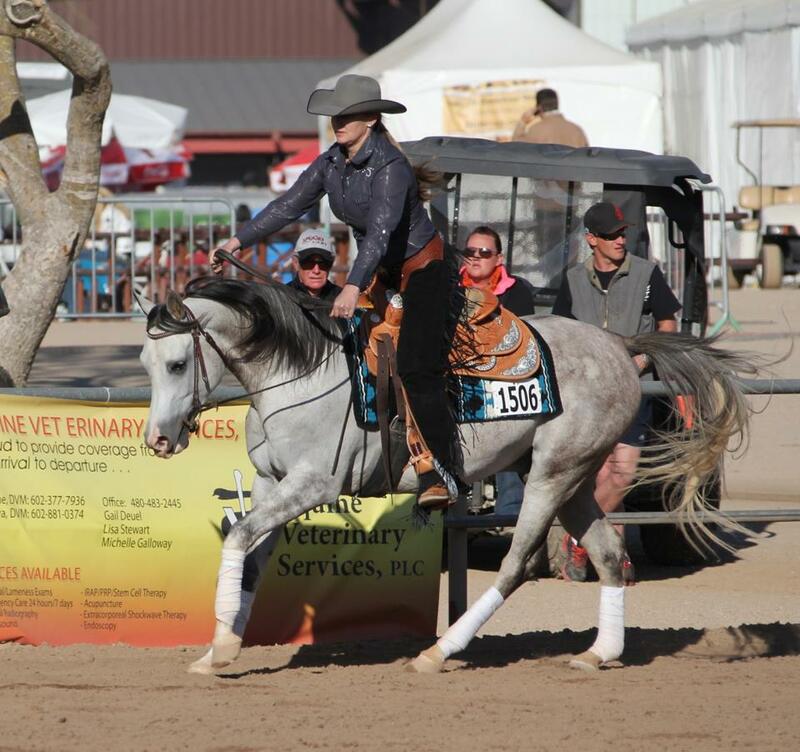 Also, a big congratulations to our long time client Cori Sampson Vokoun and BSF Buffalo Bill Cody on winning the 2013 Scottsdale ATR Half Arab Derby and taking a check home for $5,000. Also congrats to Cori and BSF Marshall Dillion on winning Reserve in same class and taking home check for $3,400. Cori and these talented two horses are pictured left. For more behind the scenes info and pictures of the show, please visit our Facebook page! Congratulations to Shannon O’Neal on the purchase of TA Hermes, aka Hero, at the 2013 Scottsdale Arabian Horse Show! 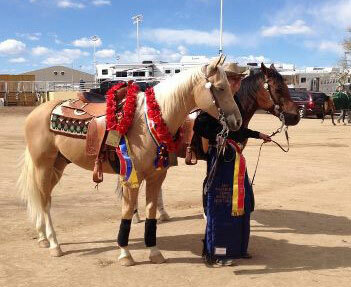 Hero and Kimberly Tillman, pictured left, took the 2013 Reserve Championship in the Purebred Futurity at Scottsdale. Another great horse with a lot of talent and a great future in the show pen, for both Shannon and Hero, under the guidance of John O’Hara and his assistant trainers, Aaron and Rane. Something you may not know about John O’Hara: He believes in helping others. 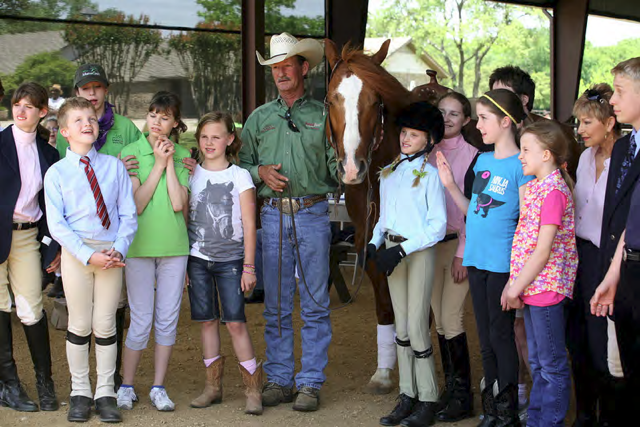 John is a big supporter and advocate of ManeGait Therapeutic Horsemanship. Please watch this video and you will see how important the horse is not only to us but children and adults who really need the horses help and our financial support to keep this great service going. TA Mozart and John O’Hara win US National Purebred Jr Reining Championship! Congratulations to TA Mozart and John O’Hara on winning Purebred Jr Reining US National Championship. This amazing stallion continues to dominate the competition! Kimberly Tillman and FR Scarlet Ohara Win 2012 National Championships! At the 2012 Arabian National Championship Show in Tulsa, OK, Kimberly Tillman rode FR Scarlet Ohara to the US National Championship in Limited AOTR Reining and were the and US National Intermediate Reserve Champion! Congrats to The John O’Hara Team at the 2012 US Nationals! Congrats to the John O’Hara Team at the 2012 US Nationals. We are really proud of our clients, and their successes this year! Good Luck at US Nationals! Best Wishes to our customers and their horses showing at US Nationals October 19th-27th in Tulsa, Oklahoma! Join us at the Rein N Good Times parties at the 2012 US Nationals! Event hours will be from 5-7 PM at the stalls of above Hosts and there will be drawings for great giveaways. So please come by and make yourself known. Kyle Tack saw we were having a party at US Nationals and not only offered to sponsor the food but is also going to donate Discount Coupons towards purchases at Kyle Tack! And we were contacted by Gut Fronleitenhof of Austria who also saw our Rein N Good Times announcement and they have offered to sponsor the Wine and will be shipping the wine in from a fabulous Vineyard. WOW….So Grateful…… THANK YOU GUT FRONLEITENHOF !!!!! Rane Baker Joins Our Training Team! 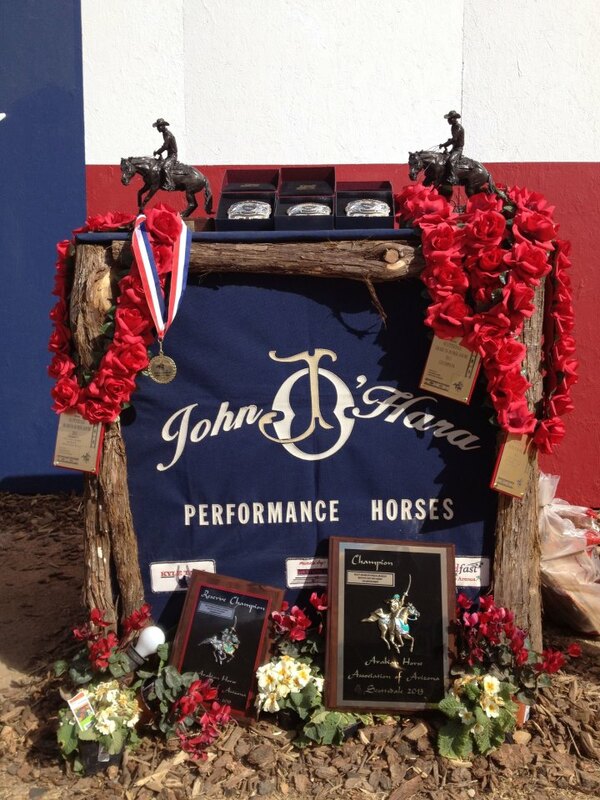 Rane Baker has joined the John O’Hara Performance Horses team. Rane brings a lot of great experience to Johns program with very similar riding and training style as John. Rane has worked for Shawn Flarida, Silver Spurs, Terry Wegener, and Dave Dillman. With Aaron and Rane we are looking forward to great things happening! We are at the Reichert Celebration in Ft Worth and what a great show! The added money is great and when you win a championship they GIVE you a really nice jacket. This has been one of the best and thought out shows we have ever been to. Steve Grove and TA Horizon won $697 in Open Reining.